« The East African Community is unable to find a solution to the Burundi crisis which has already claimed more than 2,000 human lives, forced at least 500,000 people into exile, made hundreds of Burundians victims of enforced disappearances and led to arbitrary arrests of more than 8,000 people”, says Armel Niyongere, a Human rights activist. He says he is surprised by the Mediator’s statements on the Burundi crisis, the Ugandan President Yoweri Kaguta Museveni, who disagrees with the European Union’s decision to impose sanctions on Burundi. “These sanctions fit perfectly into the commitments the Burundian government has made towards the European Union and are binding only on Burundi”, he says. Gabriel Rufyiri, the chairman of the association for the fight against corruption and Economic embezzlement [OLUCOME] calls for the facilitation in the Inter-Burundian dialogue to invest more in the process of preventing the amendment to the Constitution before the clauses of the inter-Burundian dialogue being held outside the country. “We warmly welcomed the endorsement of the report from the facilitator over the dialogue progress but there are other issues that need to be handled in Burundi such as the shortage of fuel, power cut, lack of currency and medicines, food, transport related issues…”, says Rufyiri. Hamza Venant Burikukiye, Chairman of CAPES+ welcomes the clauses of the 18th ordinary summit of the EAC Heads of State. “The EAC Heads of State fully endorsed the assessment and adopted the dialogue progress report. This meant they accepted and agreed on opinions and ideas expressed by Burundians”, says Burikukiye. He calls upon his counterparts in exile to return home. “Those who think that solutions to the Burundi crisis will come from bloodshed are wrong. They must change their mind and apologize for their deeds that impeded the country’s development”, he says. The Facilitator recently invited exiled civil society leaders to a two-day meeting due to take place in Entebbe, Uganda from 24 May 2017. 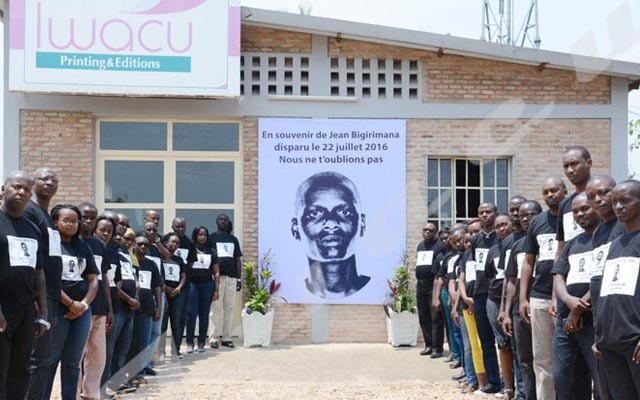 The invitation excludes rights group leaders wanted by Burundi justice. They will be represented by delegates given that the facilitation office has not provided any insurance for their security.